It all began in Norway in 1994. The concept of Cleaning without Chemicals spread quickly. Norwex Enviro Products Canada opened its doors to the North American market. Norwex is an eco-friendly company. The Norwex Mission is to improve human life by radically reducing the use of chemicals in personal care and cleaning. “Clean without chemicals” is a complete cleaning concept with products which put the user in the centre and clean more effectively than the “old fashioned” method. It protects both your health and the environment and saves you time and money. We have a catalogue full of environmentally friendly products that will help you save the environment, your budget and your heath! Our products include home care and personal care products. Norwex products are not only efficient and effective but also make a better future. 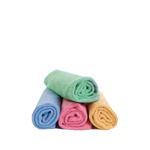 One of its popular products is Norwex Microfibre Cleaning Cloth “cleans everything” with only water and it can be used dry or wet. Norwex offers an opportunity for those who want to be a part of their team. As their consultant, you will be helping other people save their time and money, create a better environment and improve their health. Earning money has never been this fulfilling.